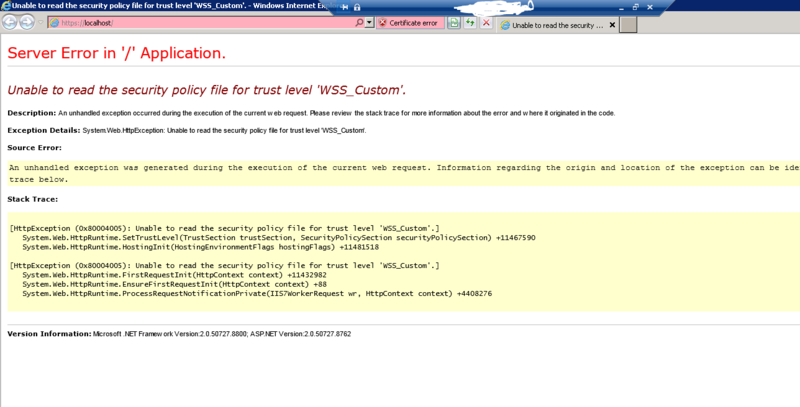 Looks like SharePoint is unable to read the wss_custom security policy. You have to check the Web.config files on all web front end make sure that the trust level is set properly. On this path, make sure you have correct wss_custom.config file and lastly it is properly registered. Not the answer you're looking for? Browse other questions tagged 2010 error sharepoint-on-prem iis server or ask your own question.